University of Warwick, Coventry. CV4 7AL. UK. 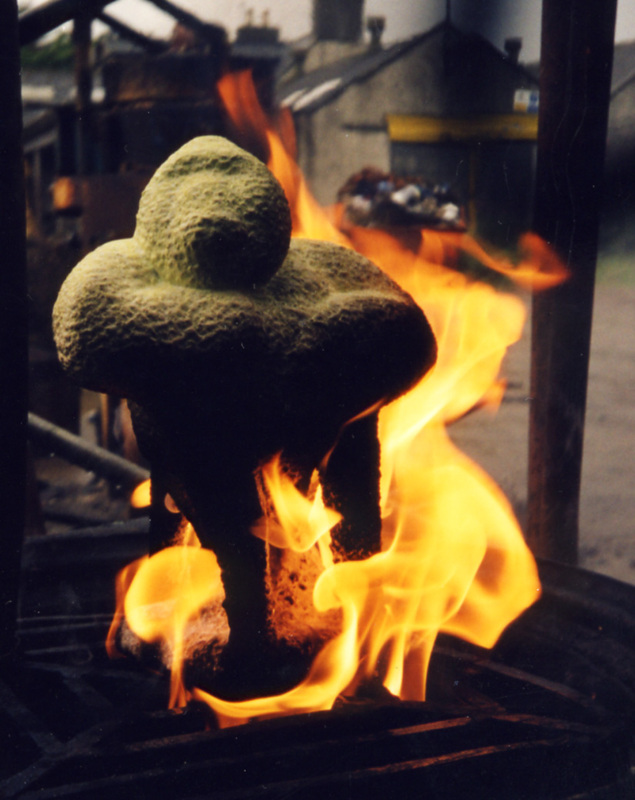 Photos: one of my stone sculptures and the making a gorilla bronze in Aberdeen. I also have a website at Warwick Systems Biology with publications, and more accessible content for the general public. 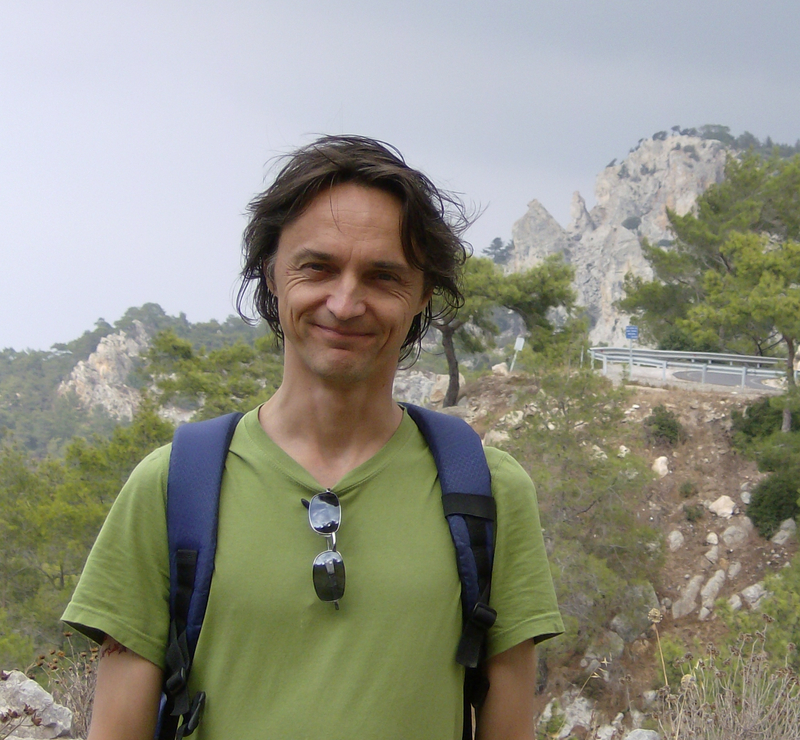 My main research interests are mathematical and statistical applications in cellular biology and systems biology, being motivated by both theoretical issues and problems in the analysis of biological data (fluorescence data and high throughput data). For instance, spatial information is often hard to extract from gfp images but can be very informative for modelling, while high through-put data (gene expression, proteomics, metabolomic data) remain highly challenging despite a decade of research. I use a variety of modelling and data analysis methods, including Modelling: dynamical systems, partial differential equations, stochastic models (eg random walks, queueing theory), large deviation methods, Statistical computation analysis methods: Bayesian methods such as Markov chain Monte Carlo techniques, including model comparison and selection methods. My main projects at present are in immunology (NK synapse, T cell signalling), cell biology (microtubules), inference of regulatory gene-protein networks using a variety of data sources (data integration) and development of algorithms for analysis of biological experiments (gfp data, FRAP). I teaching a course in the new in the Warwick Systems Biology doctoral training centre, Modelling and statistics in Systems Biology. Previously I have taught in the Mathematics degree programmes- Probability Theory in Bioinformatics, a 3rd year course covering dynamic programming, graph theory and Markov chains, Topics in Mathematical Biology, MA390, a third year course that is essentially a course on waves and stability analysis in biology, Mathematics in Medicine, MA498, a fourth year course on mathematical immunology and virology which I designed in 2000, and Variational principles, a second year course. Research Fellow in Statistical analysis of honeybee viral immunity under mite infestation. Job advert link, job number 70471-031. Closes April 15th. Research Fellow in Inference of the root nodulation gene regulatory network in legumes. Job advert link, number 71022-031. Closes April 15th. Mathematical modelling of CO2 delivery and photosynthesis efficiency of the chloroplast. Job advert link, number 71023-031. Closes 15th April. Also look at the Warwick Systems Biology web site, there may be opportunities there. Mudassar Iqbal. Working on motifs in S. coelicolor and their use as a predictor of gene expression. Ed Morrissey. (PhD) Working on Bayesian methods of gene-protein network inference. Submitting April 2011. Anthony Carter. Uncovering the blueprint for nodulation by single-cell nitrogen and node factor assays. Ed Harry. Chromosome Navigation: Finding the Way to the Spindle Equator. Jo Hulsman. Systems analysis of the host- and cell- specificity of the plantís response to symbiotic vs pathogenic bacteria. In early 2006 the Warwick Systems Biology center was established bringing together expertise in mathematics, statistics, biology and statistics. It has cell regulation as its major theme with emphasis on data analysis methodology, (neuro)physiology, plant science and signalling. In Oct 2007, a Systems Biology DTC was launched (BBSRC funded). A major Interdisciplinary Programme in Cellular regulation was launched in Oct 03 focussing on regulatory issues of cells at the genetic and cytosol levels. I am the programme manager responsible for the coordination and cohesion of the research program. An interdisciplinary post graduate training program, MOAC, also started in Oct 03. We are always keen to expand our team, so contact me if you are interested in joining us. Systems Biology is a rapidly growing field with funding opportunities from EPSRC, BBSRC, PPARC, the Leverhulme Trust, the EU and the Wellcome Trust. I made the transition myself from Physics into Biological applications while on an EPSRC Advanced Fellowship (B/94/AF/1822). Comparative cell-specific profiling to understand the molecular basis of nodulation. BBSRC. PI Miriam Gifford (Warwick Life Sciences, WHRI campus). Unravelling the impact of the mite Varroa destructor on the interaction between the honeybee and its viruses. BBSRC/NERC/Defra/Wellcome Insect pollinators initiative. PI David Evans (Warwick Life Sciences, WHRI campus). SYSMO programme on Global metabolic switching in Streptomyces coelicolor. An EU wide consortium. BBSRC. Quantification, modelling and analysis of molecular dynamics, patterning and signalling in the NK synapse. BBSRC. A joint grant with 2 experimental groups lead by Dan Davis (Imperial) and Anton van der Merwe (Oxford). Spatial dynamics and gene regulation of a bacteria-protozoa ecology, EPSRC/BBSRC joint mathematical modelling initiative. Life and death of T-lymphocytes, BBSRC. Modelling stochastic activation of T cells, EPSRC. Horizontal gene transfer in the streptomycetes. BBSRC. Human migration analysis (MCMC). Leverhulme Trust. Spatial heterogeneity and the evolution of insecticide resistance. BBSRC.